Most of the Christian brothers and sisters have disapproved his statement that Parrikar dying of cancer was a punishment by Almighty God. Bishop’s House has also taken serious note of it while Bharatiya Janata Party has filed a complaint before the Election Commission of India. 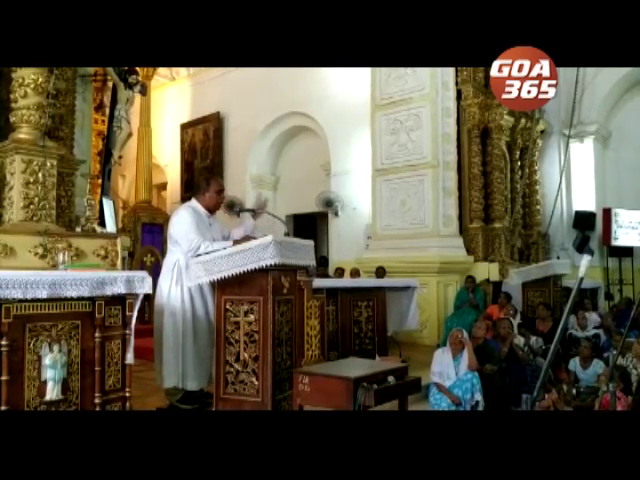 Fr Conceicao D’Silva is a parish priest at Our Lady of Snows Church at Raia in Salcete. This is the sermon he delivered from the pulpit. Watch it to know. 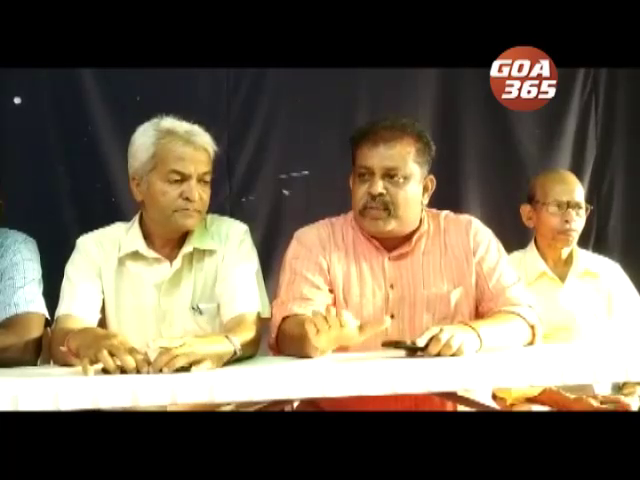 While the video went viral on social media, the Panaji mandal of BJP immediately filed a complaint before the local electoral office, stating that this will create communal tension. 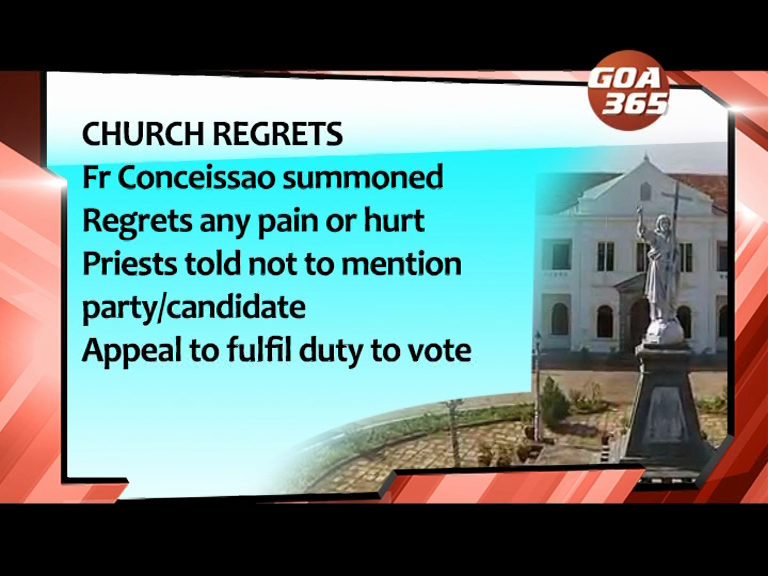 According to our information, Bishop summoned Fr Conceicao on Monday morning and warned him not to indulge in such acts. The Bishop has also issued a statement objecting to such kind of attitude. The provocative statements of Fr Conceicao however were deplored by his own Christian community. They totally disapprove of such hate language and feel that Church platforms should not be used for such kind of election propaganda. AAP however feels it’s not a major issue. पर्रीकार कॅन्सर जावन मेलो तो देवान दिल्ल्या स्रापाक लागून. ताचें हें विधान चडशा ख्रिस्ती भावा भयणींक आवडूंक ना. बिशप हावसानूय ताची गंभीर दखल घेतल्या. ते भायर भाजपानय भारतीय वेंचणूक आयोगा कडेन ताची कागाळ केल्या. फादर कोसेसांव डिसिल्वा हो राय-सालसेतचे अवर लेडी ऑफ स्नोस चर्चीचो पॅरिश प्रिस्ट. चर्चींतल्या भाविकांक ताणें सांगिल्लो हो शेरमांव पळयात. फादर कोंसेसांवाचो हो शेरमांव सोशल मिडियाचेर व्हायरल जाला. चर्चिंतल्या ह्या शेरमांवान धर्मिक ताण तयार जावं येता असो भंय उक्तावन पणजेच्या भाजप मंडलान बेगोबेग थळाव्या वेंचणूक अधिकाऱ्यां कडेन कागाळ केली. फादर कोसेसांवाचें हें खुबळावपी विचार ख्रिस्ती समाजाकय आवडूंक नात. फादराच्या ह्या मता कडेन ते सहमत जावंक नात. वेंचणुकांच्या वेळार चर्चिचो अशे तरेन गैरवापर जावचो न्हय अशें तांकां दिसता.